Othello gets its NT Live this week and it will be broadcast live from the National Theatre into cinemas across the UK and around the world. 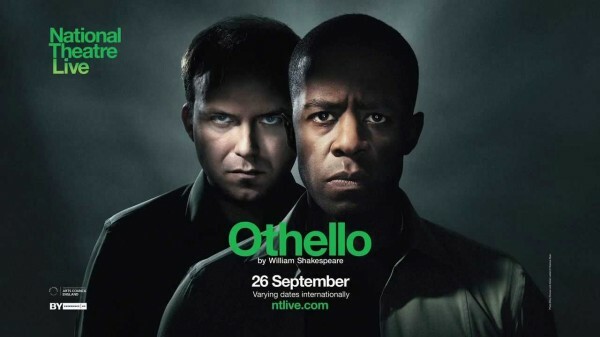 I have seen this production of Othello and I would highly recommend it because it places the play in a modern military setting, making it much more immediate, raw and relevant; it has towering performances from both Adrian Lester as Othello and Rory Kinnear as Iago; and because it is very accessible to anyone unfamiliar with Shakespeare and/or Othello. Othello is a play examining the green-eyed monster of jealousy and focusing on revenge. This production shows that Shakespeare and his plays are as relevant today as when they were originally written, because they speak about human beings, what drives them, and the human condition. Highly recommended and in cinemas across the UK and worldwide this week!